I love the sounds, people yelling, the machines singing, the hustle and bustle, no matter what time it is. I love the slot machines at Vegas! I stay for a full two weeks and hate to come home, I go twice a year. The staff in the hotels are very nice and certainly family friendly. They have been hit hard with the bad economy, but there are still plenty of people going there. When I first check in and open the door of my room, I am like a kid looking around, seeing what the bath is like, turning on the TV, flopping on the bed. The I unpack, get out my night clothes, and take a warm bath, I read for a while and then order a movie. I usually go to sleep before it is over. Up at 10, shower, dress and go down for breakfast, my meals are comped, and I really enjoy my breakfast. I go to the pool, put a chair in the shade and read until around 3 in the afternoon. Then I go to my room, shower and get dressed. I walk around the casinos for a while, but I go back to my hotel to play. 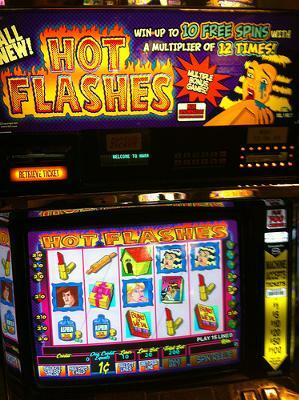 I totally love the slot machines, because they are fast, not like the card games that take a while in between games.The machines cost any where from 1`penny to 500. per play. I play 1.00 to 10.00 per pull on the handle. Your eyes are fixed on the wheel, hoping for a win. The machines can eat 500 in less than 30 minutes. But when you saved all year for a really good vacation, you know you usually lose, but you hope to win. It is very exciting to play the slots. I usually play from around 5 to 2, and even when I am on my way to the room, I stop and play a few machines along the way. Some people like to golf, sail, what ever, me, I just love going to Vegas. Everything there is my favorite thing to do.